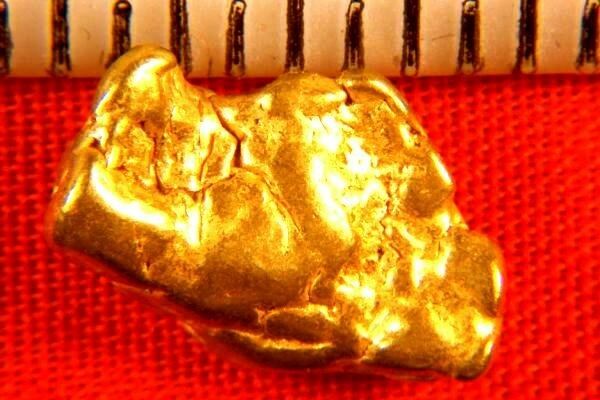 Imagine the prospector who found this gold nugget in the Mother Lode Region of California. The excitement of pulling a 2.84 Gram (43.9 Grains) gold nugget out of your gold pan must have been a real thrill. This nugget is 1/2" long (12 mm). 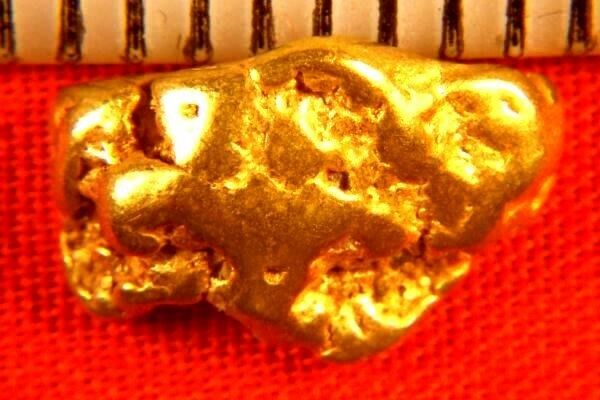 Collectors and jewelers love California gold nuggets for their beauty and color.